Discover historic downtown and the National Farmer’s Bank. Built from 1906-1908, the National Farmers’ Bank is widely recognized as one of the premier pieces of “Prairie School Architecture” in America. 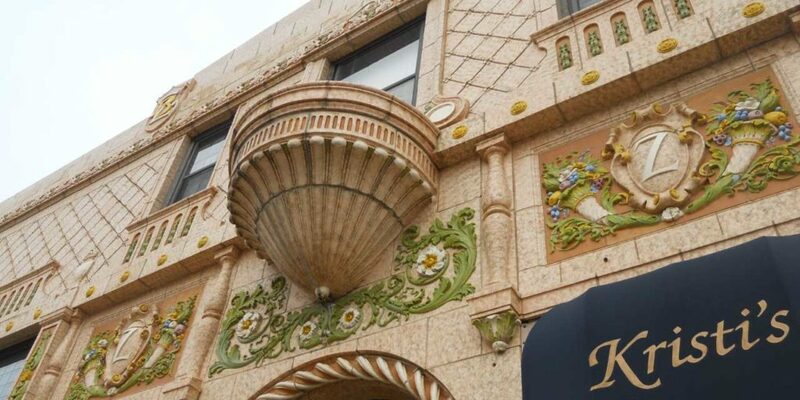 The most famous of all Louis Sullivan’s banks, it is considered “a jewel box of the prairie,” featuring gold leaf arches, stained glass windows, and nouveau baroque art designs. It is on National Register of Historic Places and was commemorated on a United States postage stamp in 1981. Encounter a blend of architectural styles from the late 1800s to early 1900s during the Historic Walking Tour including historic homes, schools, churches and other buildings. Visit the sites of buildings that listed on the National Registry of Historic Places. The Historic Walking Tour Guide Brochure is available at the Owatonna Chamber. The Historic Walking Tour includes buildings designed by Warren Dunnell, Hammel Brothers and Purcell, Feick & Elmslie. Explore the Village of Yesteryear, a setting of 19 structures where you can experience what life was like in Owatonna and Steele County at the turn of the 20th century. The highlights include an 1868 mansion built by Mark Hill Dunnell; two log cabins; a railroad station and a caboose from Steele County dating back to the 1850s; general store/post office building; fire station; farm machinery building; blacksmith shop, and much more.